Following on from his previous day’s entry, Thomas turns his attention to pondering the causes of the present situation, and what factors were most to blame for war inevitably breaking out again. 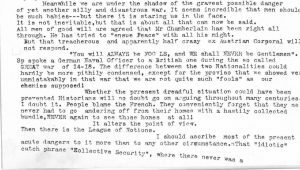 As before, he supports Neville Chamberlain and his efforts to ensure peace, but to no avail due to “that treacherous and apparently half crazy ex Austrian Corporal” not responding to peaceful discourse. 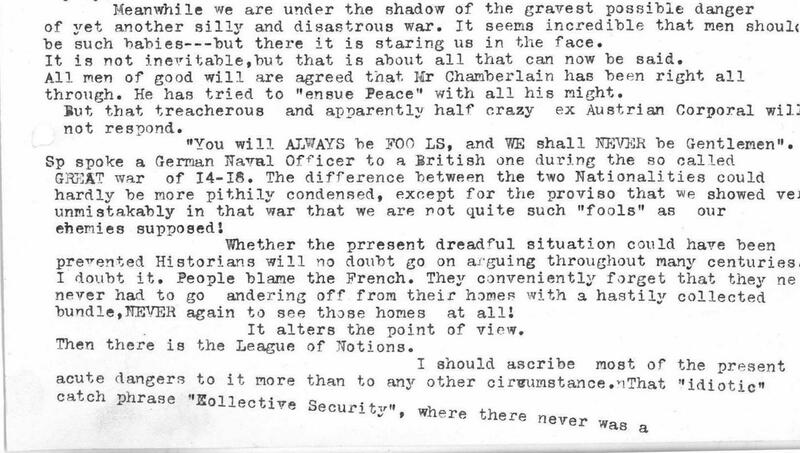 He considers many of the issues, and it is clear that he holds no high regard for Ramsay MacDonald or Stanley Baldwin, accusing Baldwin of ignoring Winston Churchill’s “warnings”. Most of his disdain, however, is reserved for The League of Nations and Lord Robert Cecil. 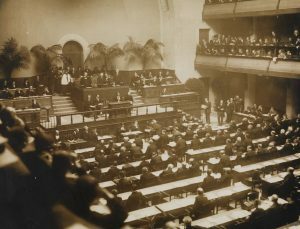 The League of Nations was an intergovernmental organisation founded in January 1920, as a result of the 1919 Paris Peace Treaty which ended the First World War. 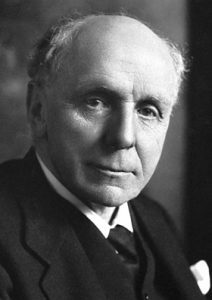 The overall aim of the League was to achieve and maintain world peace, and British politician Lord Robert Cecil, along with South African statesman Jan Smuts, was the main contributor in drafting the covenant of the League. 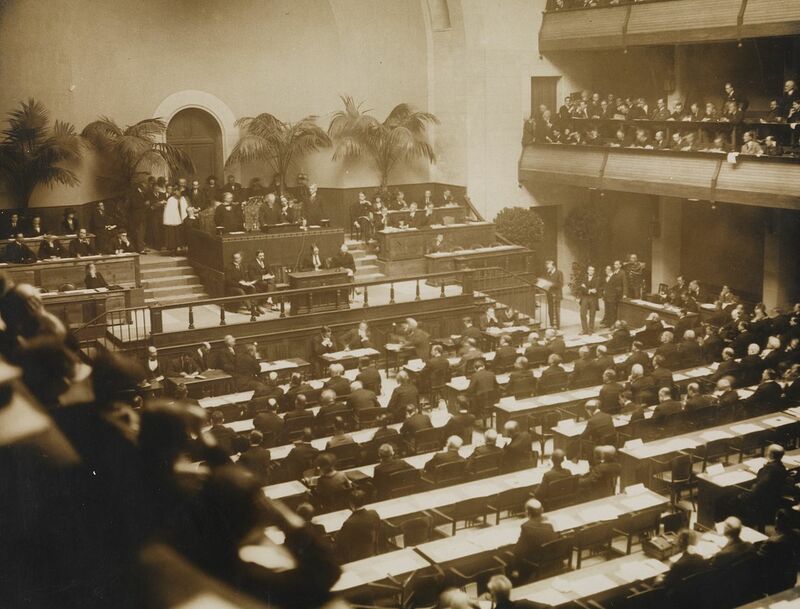 One of the founding principles was the idea of “collective security”, whereby any breach of peace or threat to security was considered to be the responsibility of all nations to dissolve and find solutions to. This in particular, seems to be an idea that Graham considered “idiotic” as he felt that there “never was a semblance of unanimity or collectivity, nor the slightest trace of Secirity”(sic). The events that succeeded these thoughts over the coming months show Thomas to be accurate again in his assertion of how grave the situation was and the threat that Nazi Germany posed. On the very same day as this diary entry, the German Foreign Minister Joachim von Ribbentrop delivered an oral ultimatum to Lithuania demanding that it cede the Klaipeda region to Germany (Memel Territory), which had been separated from the rest of the country after World War One by the Treaty of Versailles. 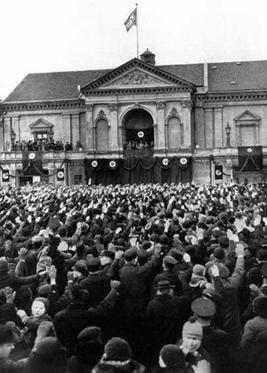 Within days, the German army and navy had taken control, and Hitler had given a speech in the city, further highlighting the aggressive and expansive intentions of the regime.